Getting together this post, which I thought was going to be simple ("Just put up some nice songs"...), has taken me a good week! There is SO much more to say about each of these songs, and pictures to show, and customs to explain...as well as all of the music, texts, and maps to gather. I hope I've learned my lesson and will try to present more limited posts from now on! 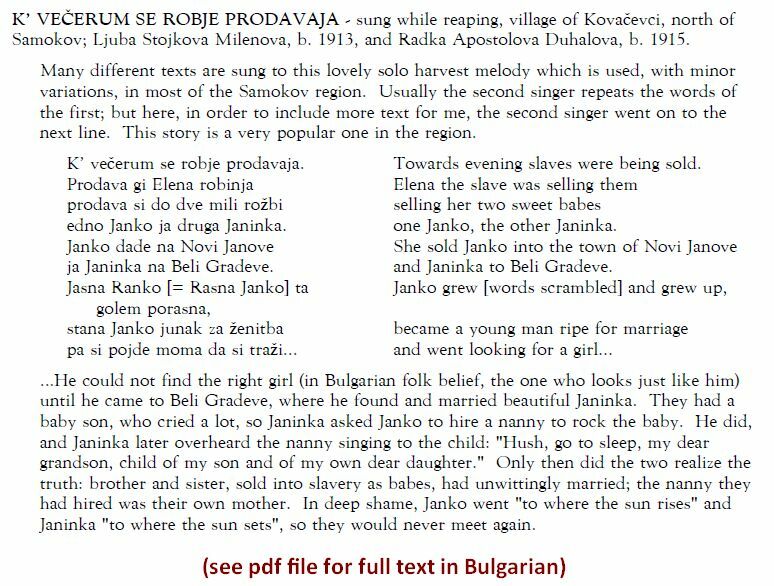 One of the things I was specifically looking for, when I went to Bulgaria in the winter of 1980-81, was harvest songs (which became generalized to include ALL field-work). Even though it was winter, I recorded over 100 of these songs! And of course, on my other trips I have similarly recorded a great many, especially in the summer of 1988, when I was there from July through early October. Everywhere I went, I found that some of these songs were sung solo (or by two voices singing in unison), others were sung with a drone. 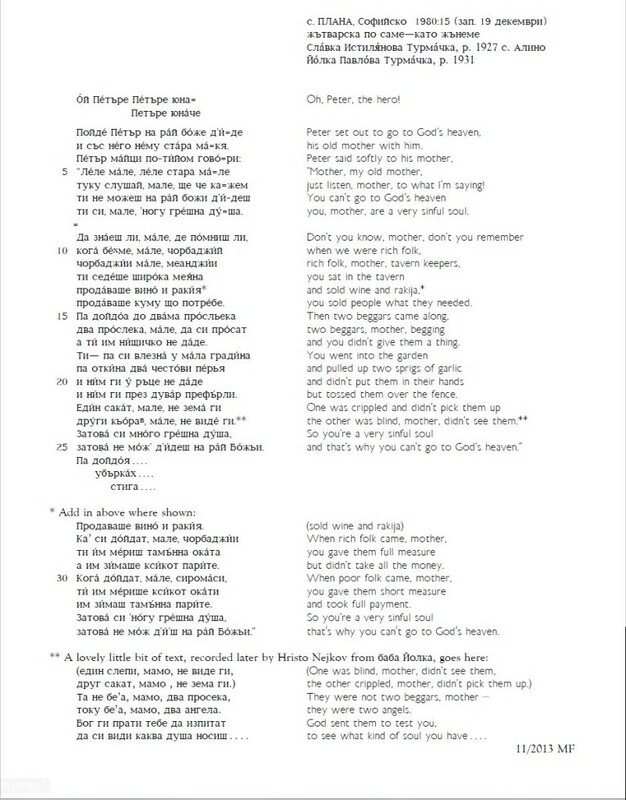 In each case, a second person/group to sing would repeat each verse, singing the same words sung by the first group. 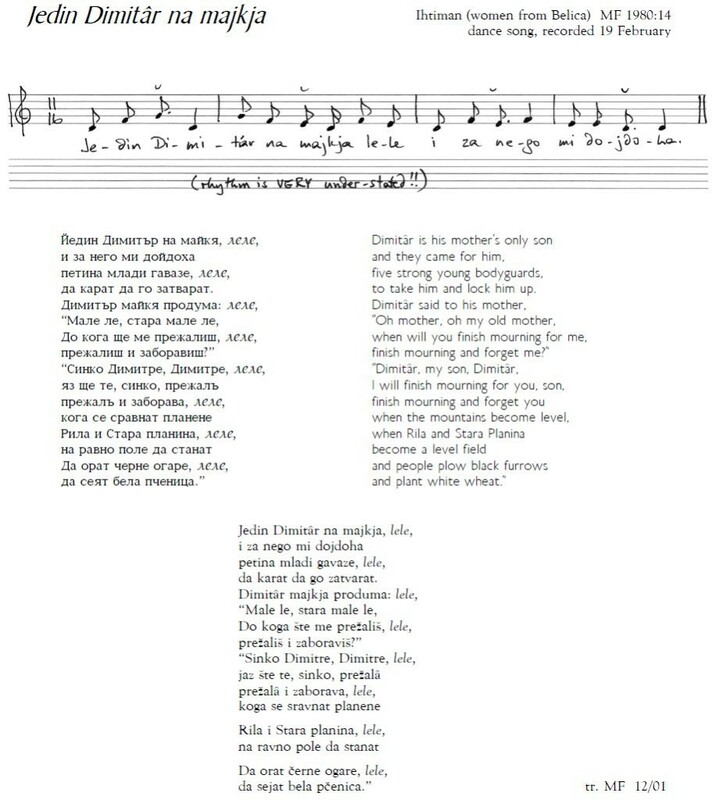 In the process of recording these, I learned that a great many of these songs had very precise times when they were sung, at the time when the tradition was strong. I also learned that for the achingly-beautiful solo harvest songs, each village has its own melody (sometimes more than one, but often only one) to which they were sung. Another time I'll talk more about which songs are sung when, which are solo/which are group, and all that - but first, I think I will pamper myself and offer you some of the solo harvest songs whose melodies I particularly love. So, without further ado, bathe yourself in these songs! Texts will be at the end, as usual. 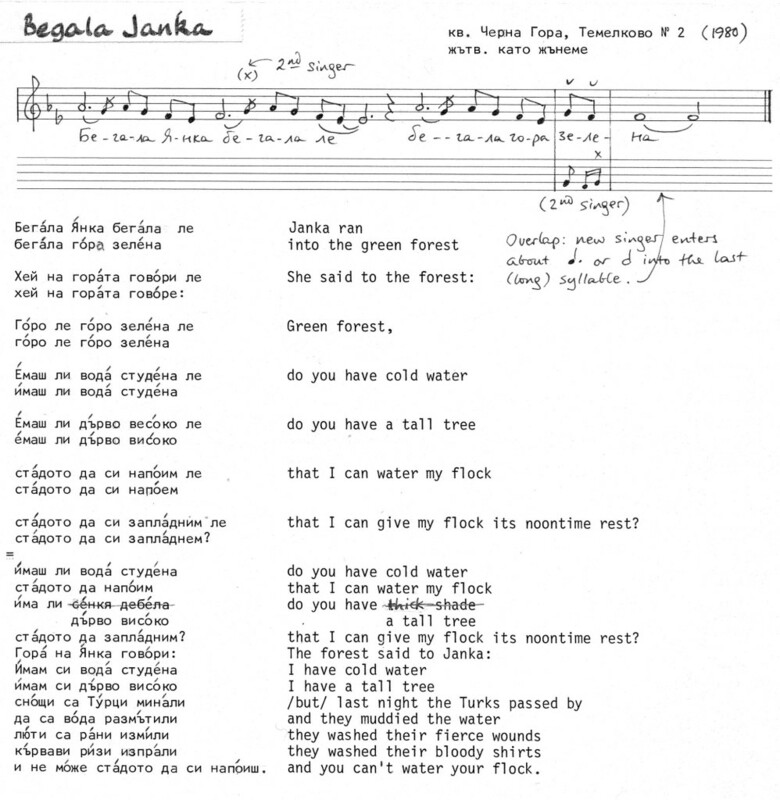 Бегала Янка (Begála Jánka), recorded in ‏ Čérna gorá, Pérnik region. For me, this melody has a feeling of immense space ....as if I see, stretching out in front of me, a huge field that we're going to be working in all day! I wanted to put Bístritsa's beautiful harvest melody here, but could not find a suitable recording when I first posted this. I've found it now, see "Harvest Songs...part II". Ой Петъре, Петъре юначе (Oj Petâre, Petâre junáče), recorded in Plána, Sofia region. A cautionary tale - read the translation! 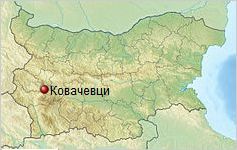 Plána is not far from Kovačévtsi, you can hear a similarity in the melodies. 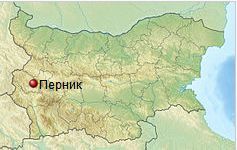 К вечерум се робье продавая (K večerum se rob'je prodavaja), recorded in Kovačévtsi, Samokov region. The theme of children separated at a young age, whose lives cross again later in life, is very widespread. 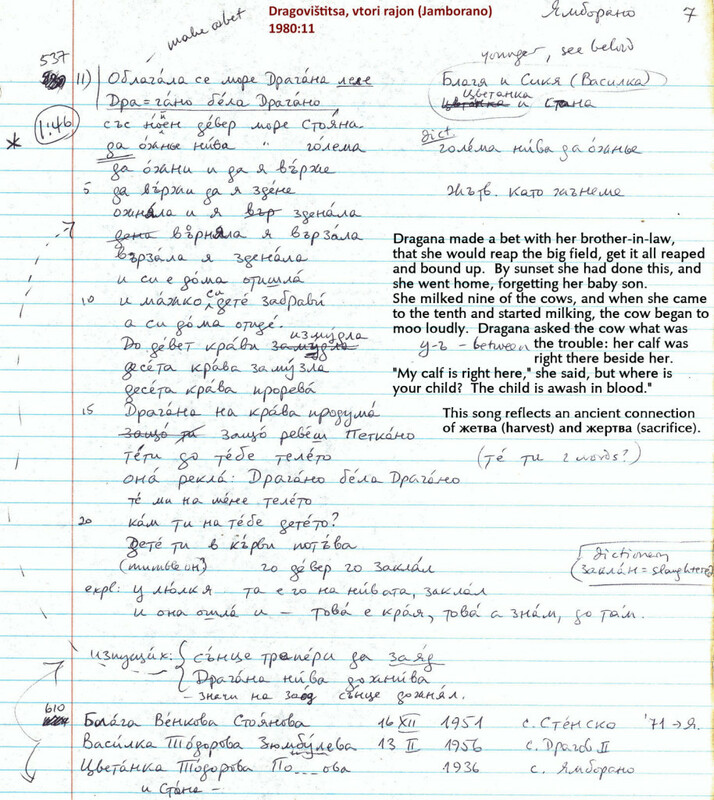 Облагала се Драгана (Oblagála se Dragána), recorded in Jambórano (now part of Dragovíštitsa), Kjustendíl region. A beautiful melody with a terrifying text, if you get all the way to the end. 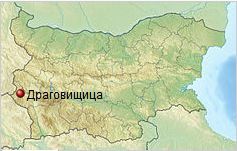 Карай, Райо! (Karaj, Raja! ), recorded in Vladája, a suburb to the south-west of Sofia. 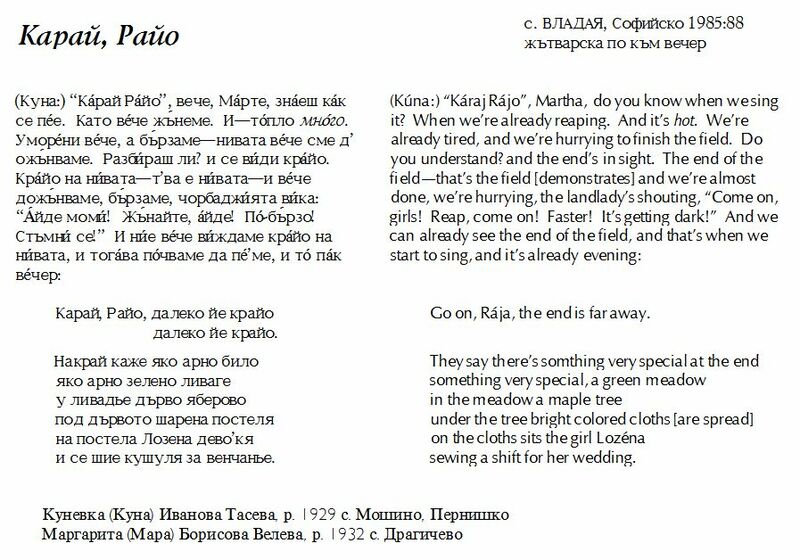 Before singing, Kúna explains that this song is sung towards evening, when the girls are hurrying to finish the field.